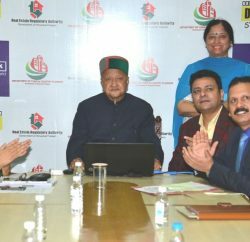 Himachal Congress lambasted on the BJP government for starting schemes without any budgetary provision and alleged that BJP led Govt had laid over 1,000 foundation stones in the past two months. 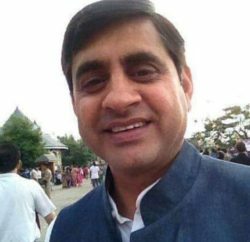 Congress state general secretary Sudhir Sharma said that 37 foundation-stone-laying and inauguration functions were held in a single day in Karsog alone. He stated that on every occasion, the Chief Minister had criticised the UPA regime for partiality from center Govt, he added that none of the schemes for which the foundation stones were laid could take shape without Central assistance. The state was getting 90 per cent of Plan expenditure as Central grant, besides revenue deficit grant for non-Plan expenditure and special Central assistance to bridge the resource gap, he said. An amount of Rs 1,500 crore had been provided under various Centre-sponsored schemes, he added. Revenue receipts of the state under the Dhumal regime had come down from 27 per cent of GDP in 2006-07 to 22 per cent in 2011-12, he said. As a result, revenue receipts in 2011-12, which should have been Rs 19,000-cr were only Rs 14,000 crore, he added. He alleged leakage and theft of public revenue to the tune of nearly Rs 5,000 crore in 2011-12. He claimed that the state was poorer by at least Rs 15,000 crore over the last four years. The state had run into a debt of around Rs 26,000 crore, he added. He claimed that the government was not in a position to contribute its share of between 10 and 15 per cent to centrally funded schemes, due to which the state had failed to take full advantage of the schemes. 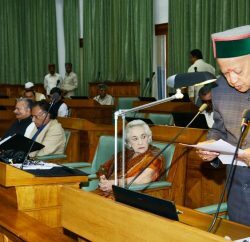 He alleged that the government could not utilise Central assistance to the tune of Rs 2,200 crore provided under the JNNURM for development schemes for Shimla. Sudhir Sharma added that in 2010-11 alone, Rs 36 crore under the Sarva Shiksha Abhiyan, Rs 54 crore under the Pradhan Mantri Gram Sadak Yojna, Rs 9 crore for computerisation of panchayats, Rs 20 crore for improving tourism facilities and Rs 25 crore under the Rajiv Vidyutikaran Yojna remained unused. He claimed that the state had to surrender Rs 1,256 crore of budgeted development funds in the last three years. The Centre had provided nearly Rs 44,000 crore under the Plan head and the amount would exceed Rs 1,50,000 crore if non-Plan grants were taken into account as well.